Dana, please can you tell us about your career to date and what made you want to work in the law? I decided to go into law after a decade of working as a journalist with various media outlets. As a journalist, I felt I wasn’t developing expertise and thought law would be a good follow on step as both paths were vocational and centred around language. I went on to work for Linklaters where I could experience, first hand, the highs and lows of the Magic Circle working life. What gave you the idea to set up Obelisk and what has the response been like? It was a simple idea to allow lawyers to continue to work in a different way – by providing us with the time they had available, we could build a business with a compelling quality and affordability message that would encourage clients to use this untapped talent. When I founded, in 2010, a lot of the law firms and legal departments were either outsourcing offshore or toying with the idea. I wanted to provide an alternative that would utilise skills that we had here, in a more efficient way, and still provided a cost-sensitive solution to clients. As 100% of our lawyers initially were mothers, the response was lukewarm to start with (not helped by the fact that I too was pregnant in the foundation year) so it took a whole shift in the diversity and women returners debate in the industry for our offer to be fully embraced. You’ve featured on the Timewise Power Part Time list. What is it so important to showcase the achievements of women (and men) who are making a success of working on a part time basis? People that have worked in traditional industries such as law have to change the way they think about work in order to make flexible-work work for them and for their teams. By showcasing different formulas of working flexibly – at all levels of the organisation – we can inspire management to let go and trust their employees to use their time in the employer’s best interest. Role models are always a powerful and immediate way to inspire change. Please can you tell us about the First 100 Years project and how this came about? The seed for the project come in the shape of a photograph from a top law firm – in it, surrounded by a group of black-tie clad 50 or so male partners- was an only woman. I was fascinated by what it was like for her – what did she do after supper, when the men retired to smoke and play billiards? How did she feel being the only woman and how did she navigate the work environment to succeed? On a close investigation, I discovered that women had not yet been in the profession for 100 years and that the centenary anniversary was coming up in 2019. I believe that creating a video archive with 100 films of inspiring stories would be a great way to broaden the knowledge about the participation of women in the legal profession – whether as magistrates, barristers, solicitors or legal executives. We needed to show the history in full but in an interactive, modern way – i.e. via video. 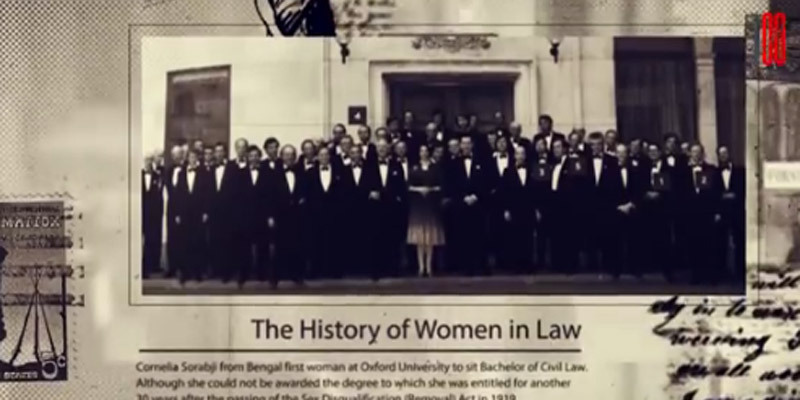 What are your favourite stories of trailblazing female lawyer through the years and what do they teach us? I would say that I was struck by how many women came from non-privileged backgrounds and were real passionate fighters. A lot of them were supported by their fathers and husbands to succeed and aim to progress. 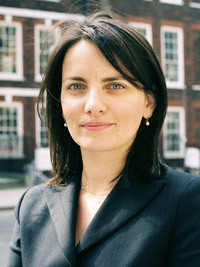 Some of them gave the best they could to their cases – take Rose Heilbron – a top criminal barrister in her day; Helena Normanton, by contrast, decided to continue in a more campaigning manner by, for example, fighting that she should be able to keep her maiden name on marriage. The stories are of independent and intelligent women that persuaded their way to the top and stood by the choices they made in their life. What was the best advice you received about being a woman in a male dominated sector? The best advice was that I should not stay in a law firm – in fact, the advice was never to join one and seek to enter the profession. I do not recall anyone taking a lot of interest in my career progression whilst I was practising. What is coming up for you, Obelisk and First 100 Years? Obelisk is continuing to grow and the only plan is to do what we do but always look to do it better. As for the First 100 Years, we are currently seeking individual donations to fund the project (so far Obelisk sponsored it) to start rolling out the filming. We have a dozen amazing women to film and so support from the profession is very important, especially individuals pledging to change the world for women in the law by informing them about their past. The project is running until 2019 so many events still to come, including our annual conference, Spark21 (which is free to access for a donation of £100). Click here to book.